Gas spring monitors are becoming a necessity for modern ergonomic office environments, but how does it work? 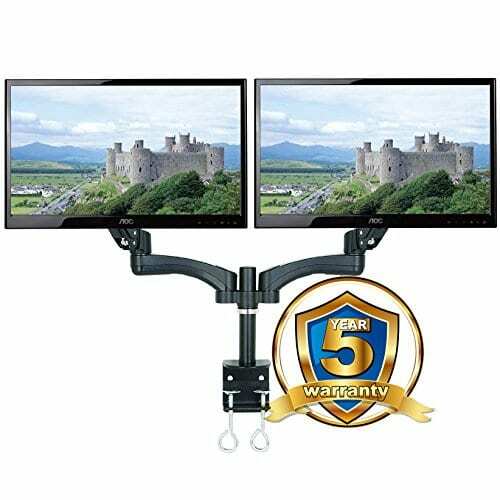 A gas spring monitor arm can hold the monitor in all possible positions because the spring has almost the same force at all positions and provides damping or resistance which holds it in place. The gas spring is a piston in a cylinder of pressurised nitrogen. The force of a gas spring does not vary very much with extension, unlike metal springs. 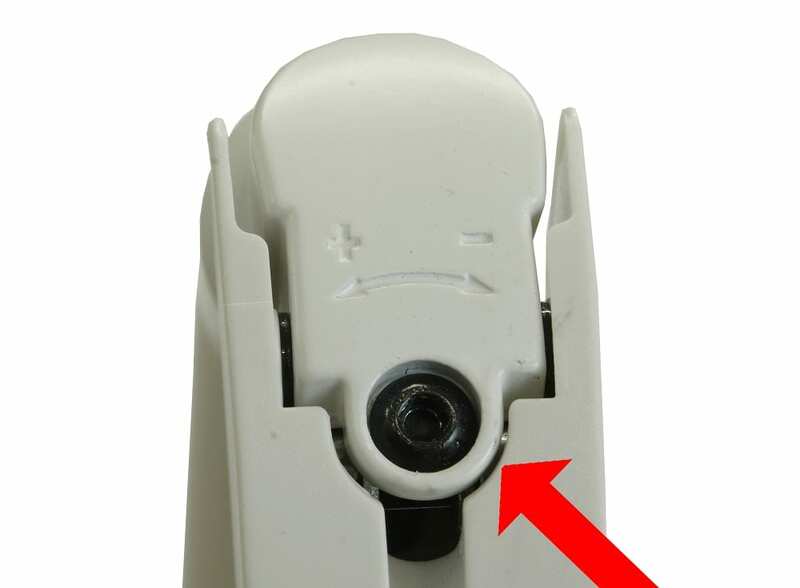 The arm structure is a parallelogram which keeps the VESA bracket level. 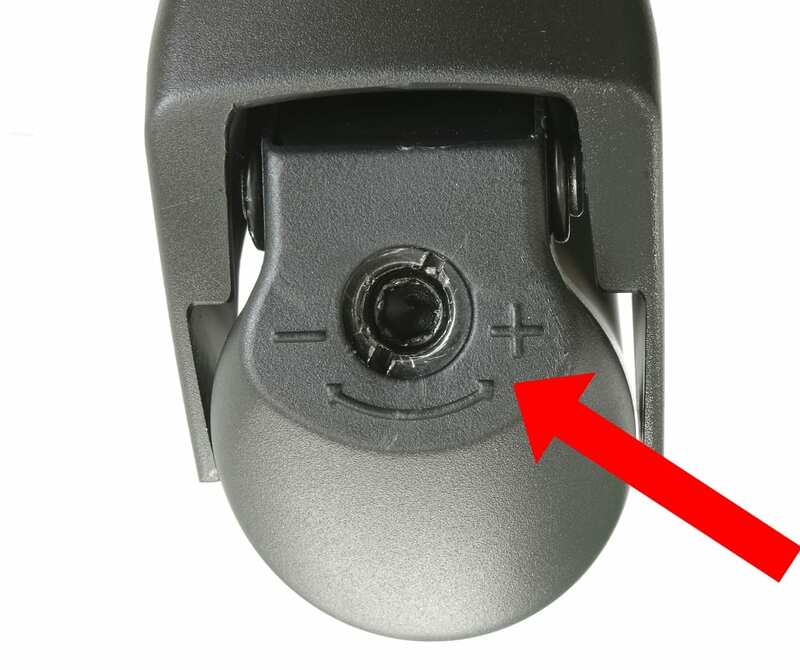 Since not all monitors weigh the same, there is normally a tension adjusting screw (TAS hereafter). Here are a few pictures of the TAS in Allcam’s ranges of gas powered monitor arms. 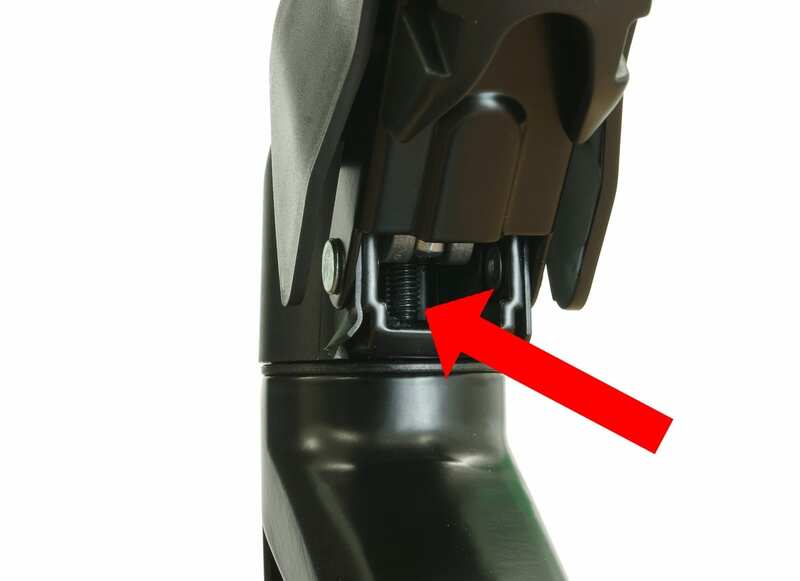 The gas spring is attached to the base and the top part of the arm providing an upwards force. 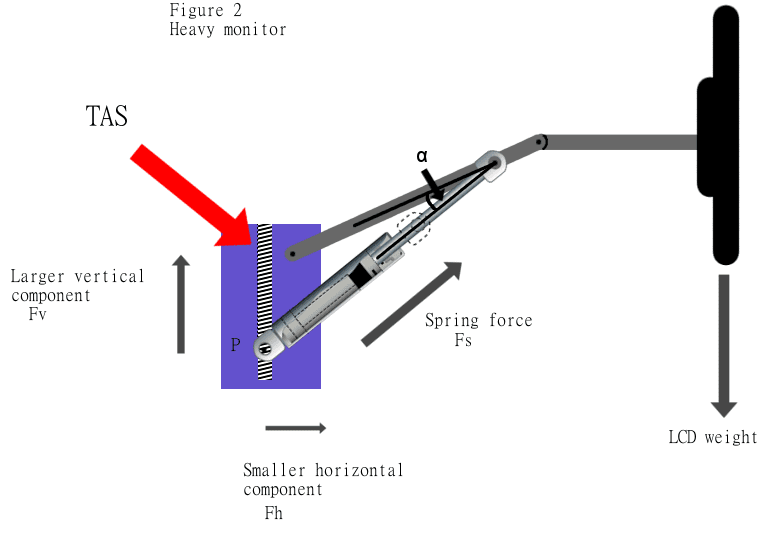 almost parallel to the arm so it does not provide as much lift even though the gas spring is more compressed. When adjusted for a heavy monitor it has much more leverage around the arm axis. 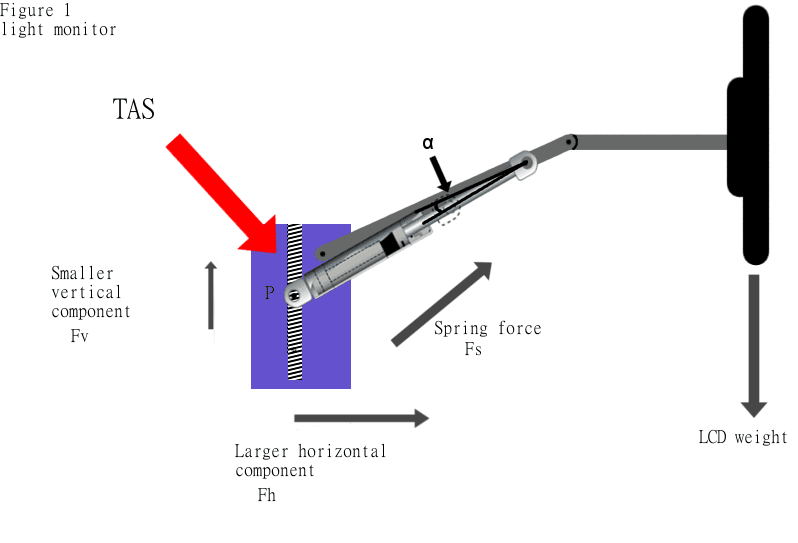 The Fs of a particular gas spring is almost constant, from our common sense (and theoretical physics), we know if we increase the angle α, the lifting force Fv increases, and when we reduce the angle α, the lifting force Fv decreases. So we can adjust the angle α to cope different weight (of the monitor). 1 When the use turn the screen toward the + sign, the point P moves down, the angle α increases, and the lifting power Fv increases, so the arm can lift heavier monitors. 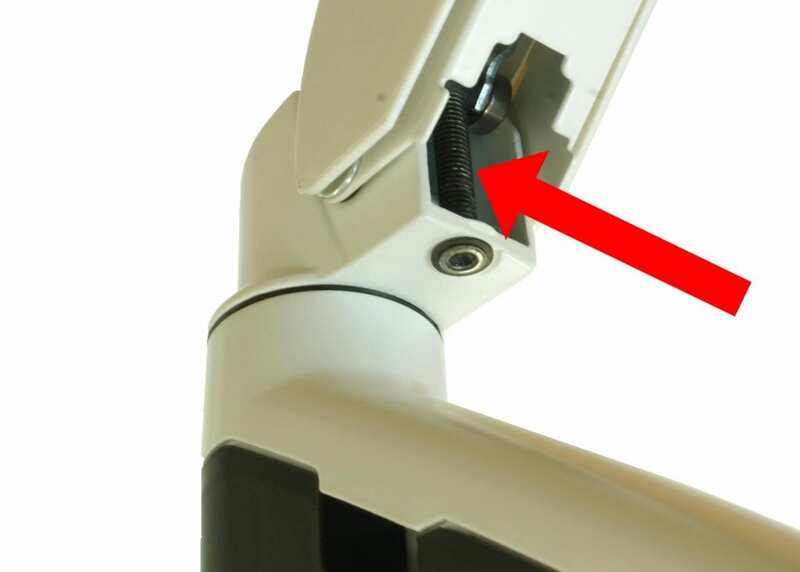 2 When the user turns the screw toward the – sign, the point P moves up, the angle α decreases, and the lifting power Fv decreases, so the arm can lift lighter monitors.